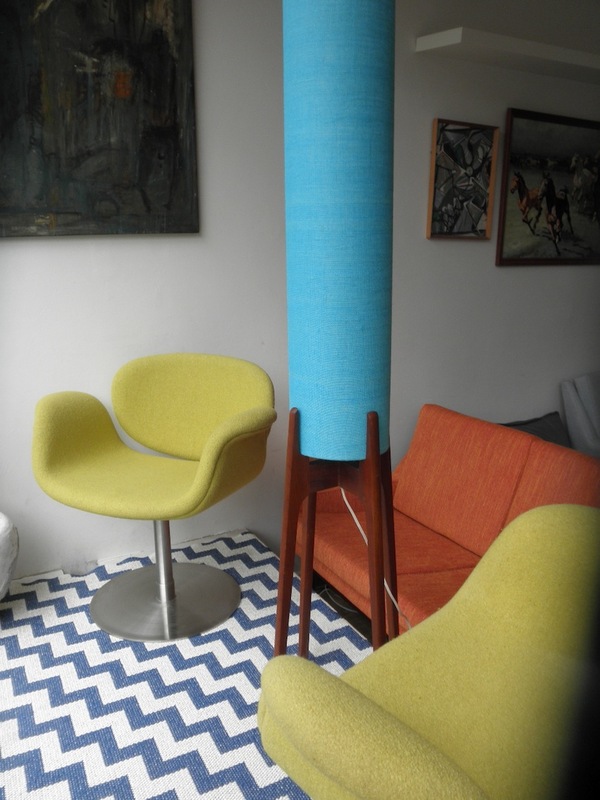 This is an original 1960s teak rocket lamp. 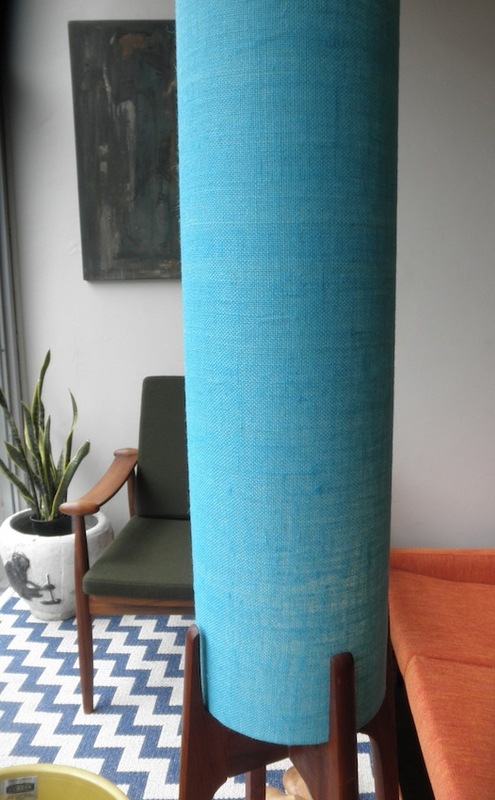 The original orange shantung shade had seen better days so we had a new shade custom made in a turquoise blue hessian look fabric which looks very authentic and gives a great moody atmosphere when illuminated. 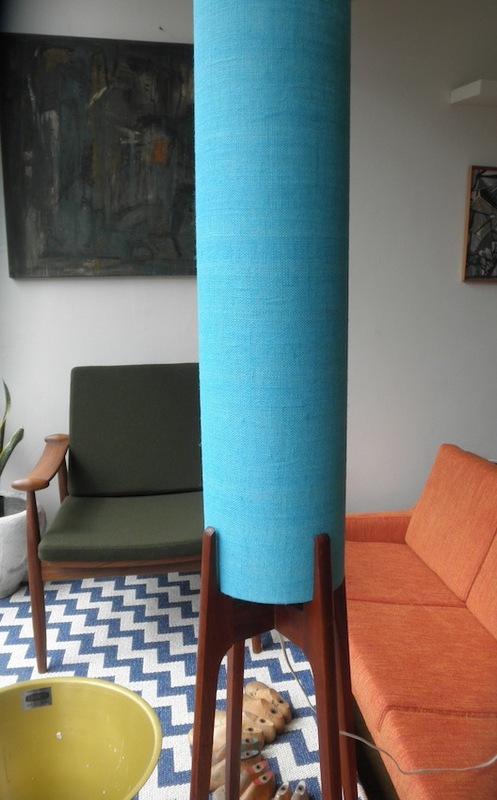 Original rocket lamps are getting really hard to find these days and it’s even harder to get shades so we have had a couple made up in this size (21cm x 91cm)- we can also cost out custom sizes if you send your requirements. I can supply them in other colours also- email me for a quote and colour choices. 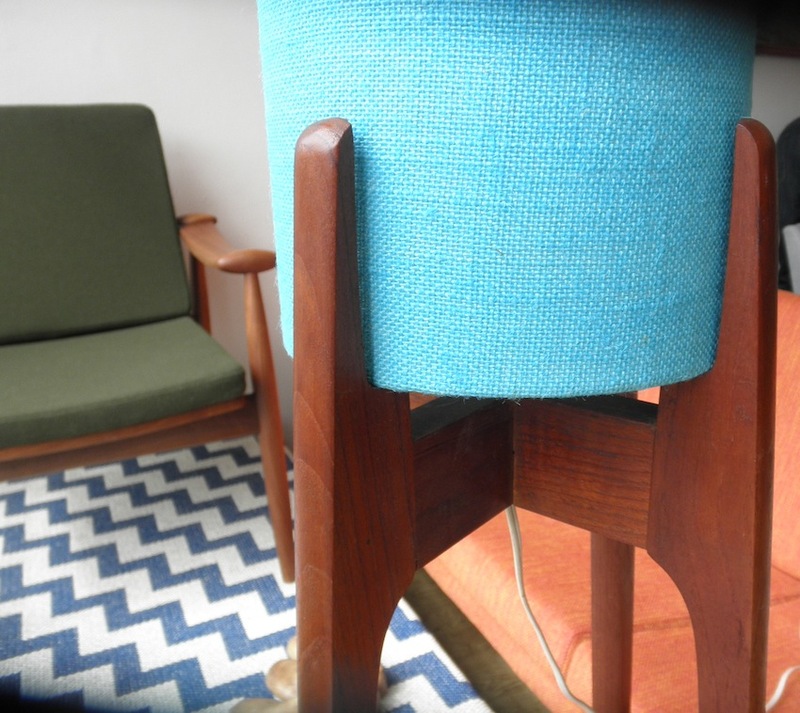 We can supply custom shades for other vintage lamps also.